New Tools to Overcome the Human Barriers to Change Leaders know that their job is to transform their organizations to keep pace with technology and an ever-changing business environment. They also know that they are bound to fail in doing so. But this discouraging prospect is not because they won't be able to solve a technological or strategic problem. Leaders will fail because of intractable human responses associated with change--responses such as fear, ingrained habits, politics, incrementalism, and lack of imagination. These stumbling blocks always arise when we humans are faced with change, but what if we had a way to transcend them? This book reveals a radical new method for doing just that. Written by the executive who designed and implemented it, the neuroscientist who helped make it work, and the academic who explains why it works and how to do it, Leading Transformation introduces an innovative yet proven process for creating breakthrough change. Divided into three steps--envisioning the possible, breaking down resistance, and prototyping the future--this process uses cutting-edge tools such as science fiction, cartoons, rap music, artifact trails, and neuroprototypes to overcome people's inability to imagine or react to what doesn't yet exist, override powerful habits and routines that prevent them from changing, and create compelling narratives about the organization's future and how to get there. 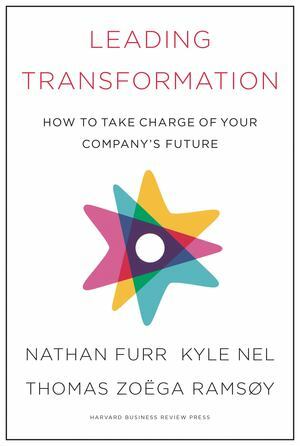 Showing how these tools have been used successfully by companies such as Lowe's, Walmart, Pepsi, IKEA, Google, Microsoft, and others, the process revealed in this book gives leaders the means to transcend the human barriers that block change and lead their organizations confidently into the future.